Expert forecasts for shares, the dollar, interest rates and commodities. Summary: Eureka Report spoke to some of Australia's leading economists to get their views on the outlook for Australian markets in 2017. Key take-out: Economists are positive on the Australian sharemarket; mostly see downside risk to interest rates. The Australian economy largely tracked as predicted in 2016, although most economists thought the dollar was stubbornly high and the September quarter's negative growth surprised a few. Looking forward, major global market movers – such as the US Federal Reserve's monetary tightening timetable, Chinese demand for commodities and 'Trumponomics' – are set to ensure an uncertain 2017. Eureka Report spoke to some of Australia's leading economists to get their take on the prospects for key markets in the year ahead. 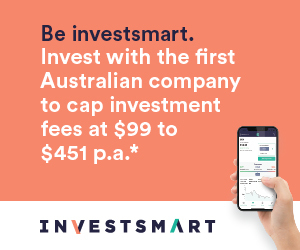 Australian shares are likely to have solid returns as resource sector profits surge following the rebound in bulk commodity prices, overall profits rise 10 per cent and interest rates remain low. Expect the ASX200 to reach 5800 by end-2017. In terms of sectors favour resources, retailers and banks. The downtrend in the Australian dollar is likely to continue as the interest rate differential in favour of Australia narrows and it undertakes its usual undershoot of fair value. Expect a fall below US70c but little change versus the yen and euro. Near term risks to Australian growth are on the downside, inflation is likely to remain below target for longer than the Reserve Bank is forecasting, the RBA is likely to need to offset increases in bank mortgage rates and the Australian dollar remains too high. So we expect another rate cut in the first half of next year taking the cash rate to 1.25 per cent. A rate hike is a long way off. We think the ASX200 should perform reasonably well in 2017, and see scope for both the resources and bank sectors to outperform the broader index in coming quarters. We see scope for the dollar to decline in 2017, as a retracement in commodity prices, ongoing moderation in Chinese growth and a narrowing in the AUD-USD interest rate differential all present meaningful headwinds for the currency. We believe the RBA will cut interest rates again by another 50 basis points in 2017, as slow growth and stubbornly low inflation make it clear that more accommodative monetary policy will be required in Australia. The cash rate should finish 2017 at a record low of 1.0 per cent. The outlook for commodity exports next year is probably more nuanced, with volumes growth likely to remain robust as more LNG capacity comes on line, but with prices for coal and iron ore likely to retrace from recent highs. I never attempted to forecast the sharemarket when I worked for a big bank, and I'm not about to start now, now that I don't. I continue to expect – as I have, wrongly thus far, for most of this year – that the Australian dollar will fall back to the high US60s against the US dollar, given (a) further increases in US interest rates, hence (b) further strength in the US dollar against all major currencies, and (c) that the current strength in prices of coal, iron ore and other important export commodities won't be sustained indefinitely. Rates won't fall any further, unless required in order to offset the impact of major banks raising their own lending rates independently of RBA moves. Otherwise, next move likely to be up, but not until 2018. See ‘Australian dollar (c)' comments. I expect most commodity prices, especially iron ore and coal, eventually to decline from present levels, although not necessarily in the next few months. I don't think 'Trumponomics' will make a big difference to global demand for coal or iron ore, but I think the current round of monetary stimulus in China, which has caused a spurt in demand, is increasing the risks of an eventual 'financial accident' in China. Equities markets should be well supported if the global growth narrative plays out as expected, and as investors continue to rotate out of bonds into other asset classes. For domestic investors, too, equities may become more attractive as property investment becomes less attractive as potential price weakness and pockets of oversupply weigh on sentiment. The Australian dollar should continue to depreciate largely on the back of US dollar strength. But also we'd expect that commodity prices will retreat from recent rallies and the differential between Australian and US interest rates narrows putting further downward pressure on the Aussie. Capital inflows into the bond market and direct investment into the resources sector will also diminish unhedged buying of the currency. The Australian dollar at or below US70c would be helpful to the economy overall. The RBA is expected to keep the cash rate on hold but the risks are skewed to the downside. Further weakness in growth, employment and inflation may force the bank's hand. This is particularly true as property market and residential construction activity fades. And with the sector being a large employer the unemployment rate may start to push higher. We'd hope that further increases in infrastructure spending would offset this decline but currently this is a far from certain prospect. Services exports, tourism and education services in particular, should continue to perform well especially should the Australian dollar depreciate further. On resources we expect commodity prices to decline off recent highs as Chinese growth moderates and steps are taken to cool the property market. Export volumes will continue to make a significant contribution to real GDP growth as they have in recent years. But 2017 will mark a baton change – this is as growth in iron ore and coal exports decelerates and those of LNG rise further. This has already begun with the bulks exports adding just 32 percentage points to growth in the year to the September quarter, whereas LNG added 55pp. For the All Ordinaries, a mid-2016 forecast of 5700-5900 points; end-2017 forecast of 5850-6100 (*All Ords December 20 open was 5612). The Australian dollar has ebbed and flowed over 2016, responding to a raft of influences. These influences include higher commodity prices, lower Australian interest rates and varying expectations on US interest rates. Over 2017 these same influences will dominate together with the fleshing out of economic policies by the new US administration. Mid-2016 forecast of US71-77c; end-2017 forecast of US73-79c. At present we think the RBA will stay on the interest rate sidelines for much of 2017. The RBA still has the ability to cut rates if underlying inflation stubbornly remains below the low end of the 2-3 per cent target band. But the RBA governor has made it clear that he is not inclined to cut rates again. It still seems a little too early to contemplate rate hikes. Mid-2017 forecast of 1.25-1.5 per cent; end-2017 forecast of 1.25-1.5 per cent. Looking ahead, recent gains in oil, iron ore and coal prices are still to fully feed through to export receipts. Exports of LNG will also lift over the year. And the record winter crops that will be harvested and exported over 2017, further add to export receipts. Trade surpluses are on the cards in 2017. Australia's exposure to … positive reflationary forces without the downside from increased trade barriers led our regional team in their recent 2017 outlook to move to overweight the ASX200 for the first time in over a decade… (But) we remain underweight ‘bond-proxies' and ‘secular growth' stocks as, despite their recent de-ratings, valuation risk to rising rates remains. Further, given the large fall that a number of market darlings have experienced this year we expect increased investor scrutiny on just how robust many of the remaining growth stories are. We upgrade miners to overweight alongside banks as our preferred reflation trades. We now expect the Australian dollar to end 2017 at US75c, with potential upside risk into the US80s if the RBA starts to raise rates in the December quarter of next year compared to our expectation of the March 2018 quarter. At this stage we have kept our forecast for the RBA to commence its hiking cycle in the March quarter of 2018 with the RBA forecast to increase interest rates 75 basis points through 2018 and a further 75bp spread over 2019 and 2020 to a 3 per cent cash rate. Nevertheless, the risk of the RBA increasing the cash rate in 2H17 has risen materially and the evolution of financial conditions, house prices and underlying inflation will ultimately guide the decision. Commodity prices to remain well above 2016's troughs … Our economists expect the trade balance in 2017 could be 1 per cent of GDP, the highest since the early 1970s … During the first half of 2017 we see supply and demand roughly in balance and expect (iron ore) prices to stay above $U60 per tonne. During 2017H2, however, we expect the supply pressure to begin to build and iron ore prices to fall to $US55 by year-end ($US45/t long-term price). No consensus target on the ASX200. Consensus earnings-per-share growth is at 11 per cent year-on-year; the long-run 12-month P/E for the ASX200 is 14.2x (index has not seen a multiple higher than 18x since early 1990s). Median forecast of 26 economists polled by Bloomberg expect the cash rate to stay at 1.5 per cent through to December 2017 quarter. *Australian Treasury MYEFO forecasts: Thermal coal price to be $US62 mid-2017; iron ore at $US55 by end-2017.